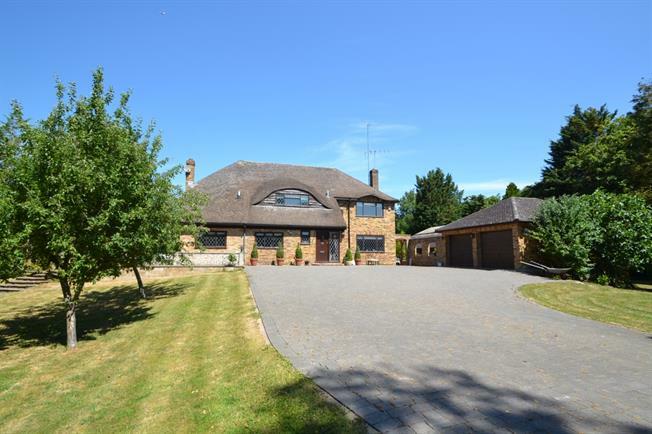 5 Bedroom Detached House To Rent in Maidenhead for £3,250 per Calendar Month. Conveniently located just a short walk from the River Thames, this property is beautifully set in the heart of a large mature garden (gardener included). Internally, the property offers, entrance hallway, two large reception rooms, kitchen dining room and cloakroom to the ground floor. To the first floor there are five double bedrooms, two en suites and a family bathroom. Lock Avenue is considered one of the most prestigious residential roads within the river area of Maidenhead and is located within close proximity to the River Thames at Boulters Lock. There are a selection of renowned restaurants nearby together with delightful walks along the Thames towpath. Maidenhead town centre lies 1? miles from the property and offers a wide range of shopping and recreational facilities. These include a large indoor shopping precinct, multi screen cinema, gymnasium and a wider variety of chain public houses and restaurants. Maidenhead railway station (future cross rail station) is just outside of the town centre and provides frequent links to London Paddington. Junction 7 of the M4 motorway is some 2? miles distant and gives access to London and the M25 motorway network. Externally the property offers, an indoor swimming pool with shower room and ample storage, parking for numerous cars and secure gates on entry to the property. Gardener included. Swimming pool maintenance by separate negotiation.